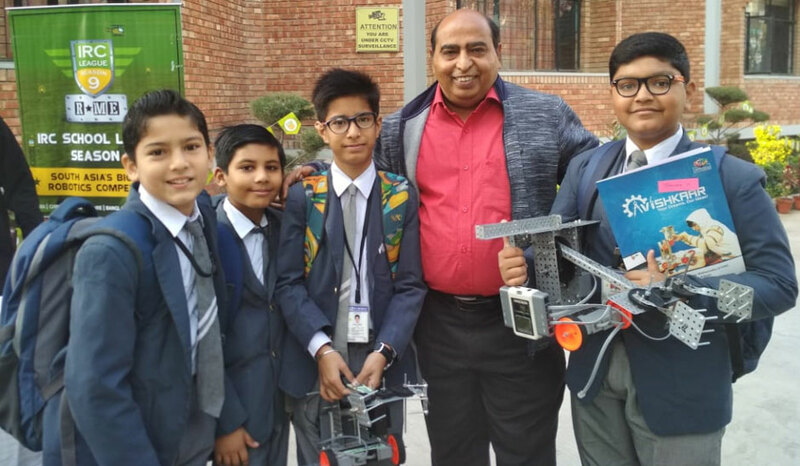 IRC-League - 9 was held at Bal Bharti Public School, Dwarka on 22 November 2018. 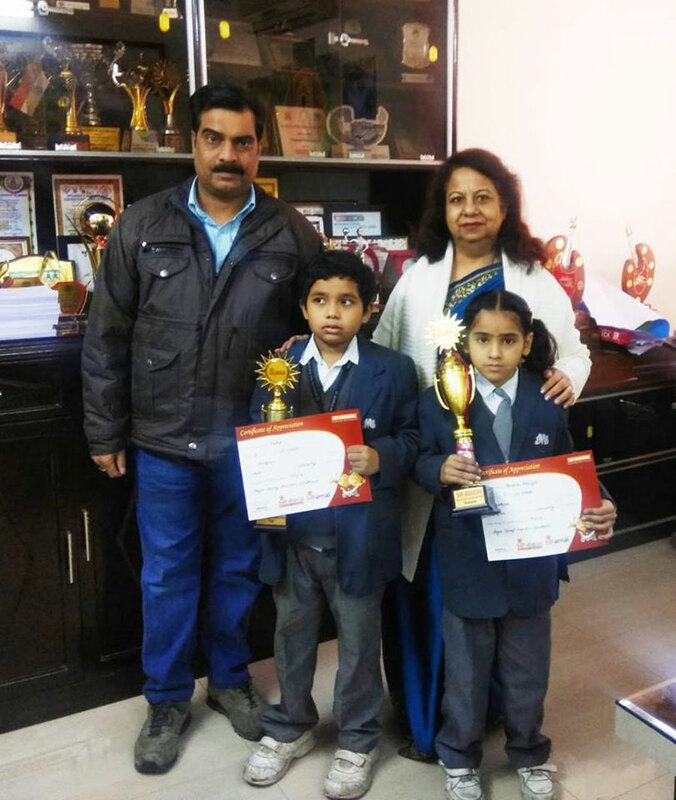 Adhyan Jain VII-B, Yuvraj Singh VII-B, Bhavan Kalra VII-A and Harshit Aggarwal VI-C, from our school participated in the competition at Junior Level and secured the fourth position. LEXICON is a literary competition held between the three SMS branches that revolves around various literary genres like poetry recitation, poetry dramatisation, plays , quizzes and enactment of famous speeches. Its aim is to enrich the literary knowledge of the students by making them confident and well versed in English language. 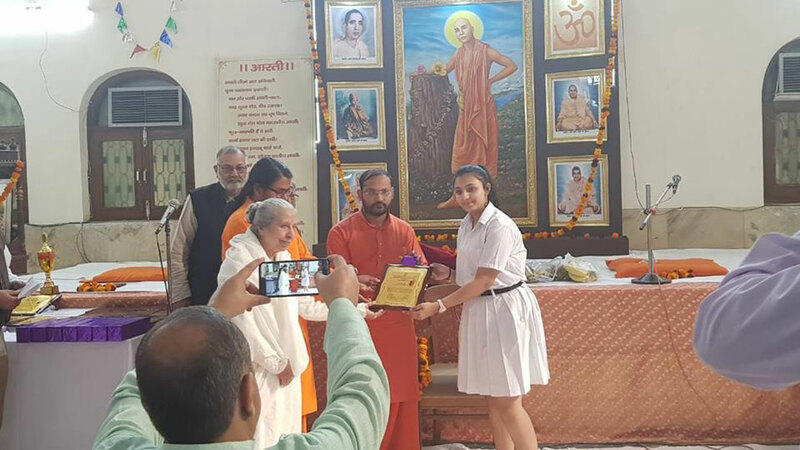 Suhani Monga, X-E won third prize in the Hindi Declamation Competition organized at Swami Ram Thirth Mission, Jhandewalan Extension on Swami Ram Tirath's philosophy and message of Shrimad Bhawgad Geeta. 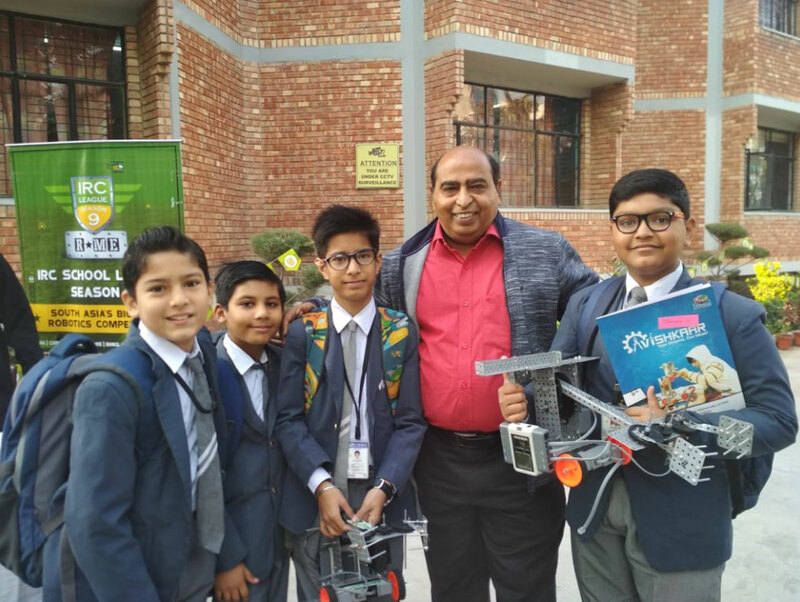 The Science & Mathematics festival was organized by DPS, Dwarka on 25 and 26 October 2018. ‘STEM is the artery through which Solutions of tomorrow’s problem flow’ is the Basic Aim of the Science & Mathematics festival. The students participated with great enthusiasm. 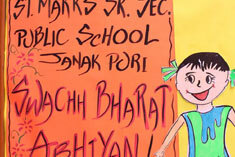 Their innovative minds got triggered by the new ideas after exchanging ideas with students of different schools. Manvir Singh of XII-C and Harsh Bhandani of XII-B won III Prize in the event Circuitron organized by the Physics Club. Yash Solanki and Chirag Wasan of XI-B won III Prize in Meta Analysis. Cleanliness is next to Godliness. This mantra was followed by our school students during the ongoing Swachhta Abhiyan from 15 September to 2 October 2018. 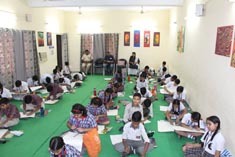 Our school hosted an Inter School Painting Competition organised by Delhi Police. About 50 students of std. Vl--Vlll from different schools showcased their talent with the palette. The occasion was graced by ACP KNS Subudhi (west district) SHO Vijaypal, Our School Manager Mr. Rahul Agarwal and Principal Mrs. Alka Kher. 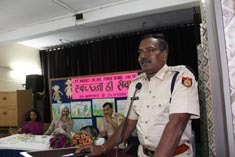 ACP KNS Subudhi in his address to the students talked about the importance of parents and teachers in the life of a child and why they must adhere to social norms. 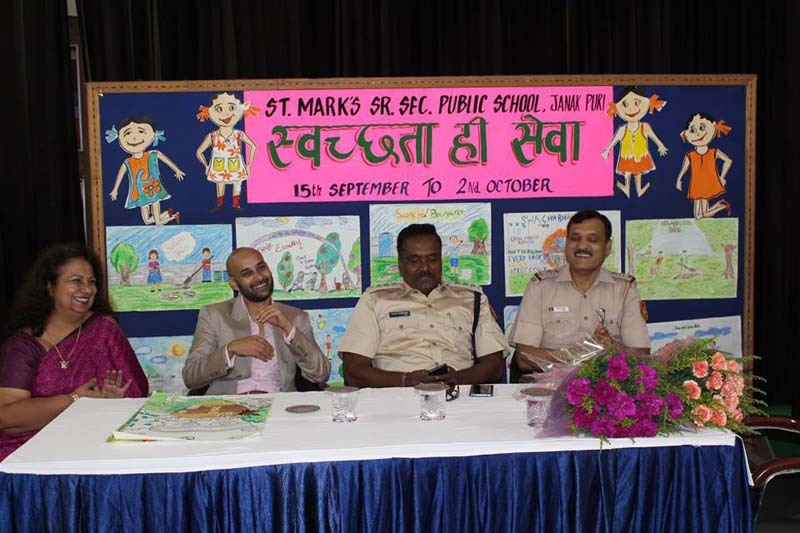 Principal Mrs. Alka Kher appreciated the art work of budding artists and hailed the efforts of police department towards maintaining safety and security of the general public. 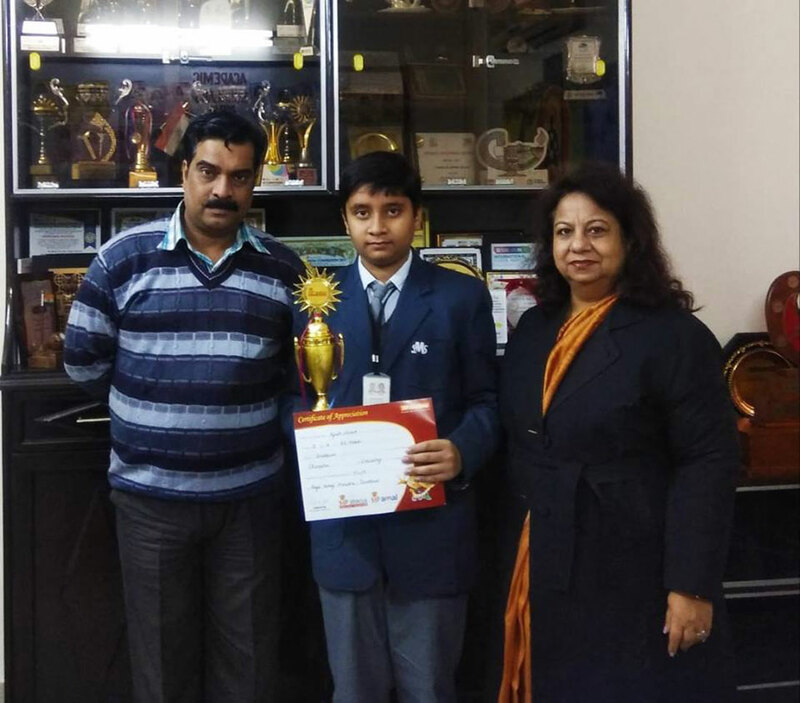 Prizes were awarded to meritorious students. 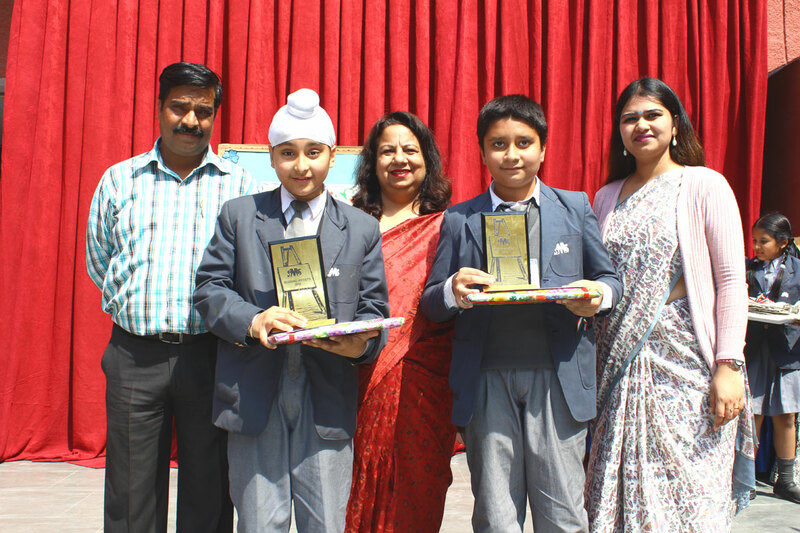 The Primary students participated in a Inter School Competion 'Wonderful World of Literature' which was organised by St. Mark's Girl's Sr. Sec. School, Meerabagh on 14th September 2018. Students of Class IV staged Pollyanna a novel by Eleanor Porter which is a classic of children's literature in the interschool play competition. 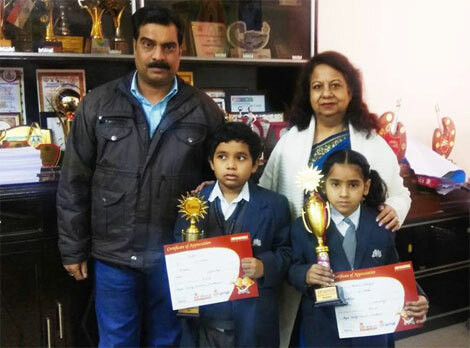 The student's efforts were appreciated by all and Astha Yadav of IV-E of our school was awarded with a Special Prize for her portrayal of Pollyanna's aunt - Ms. Polly Harrington. 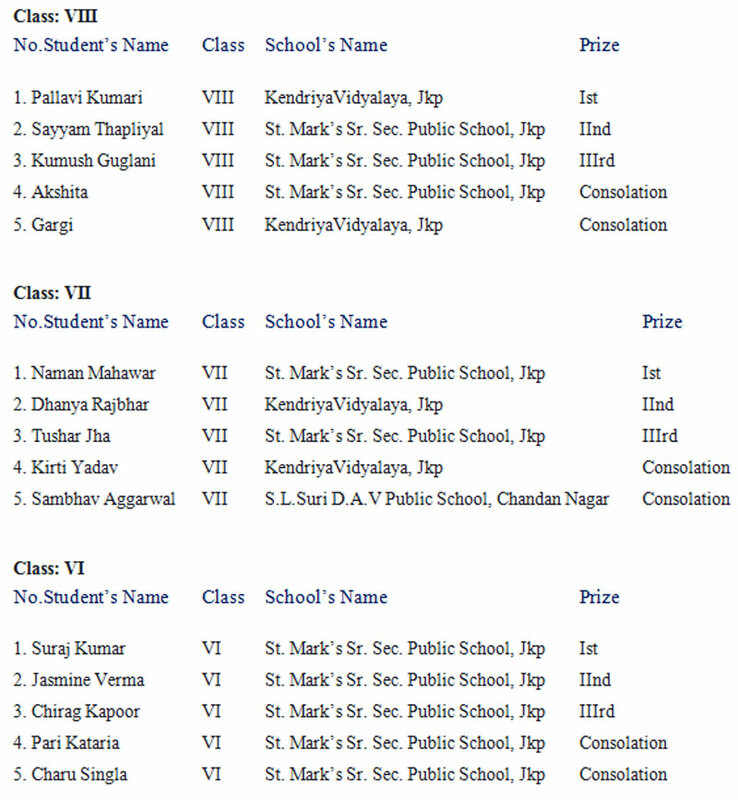 Class V students had Inter school debate competition on the topic ‘Nimble minds: Tech Addict or Tech Savy. 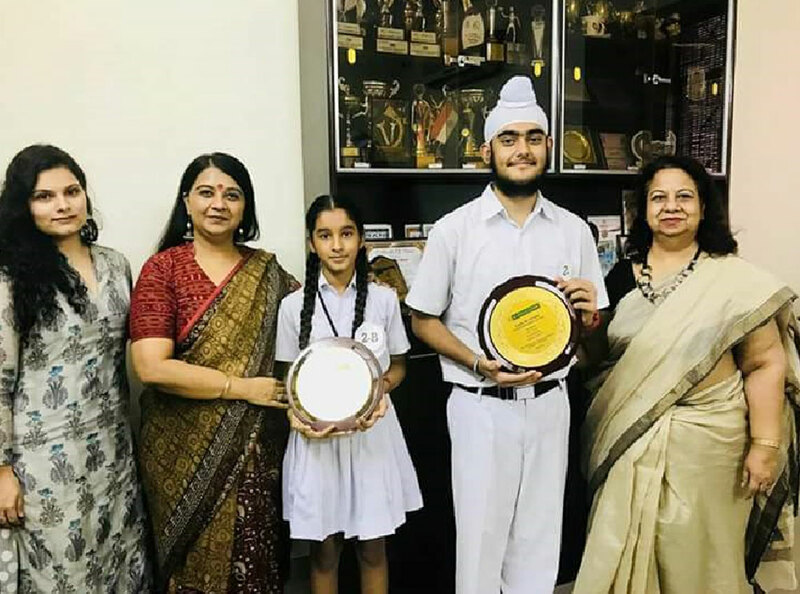 Sirjan Pratap Saini, V-C, who spoke against the motion, won Second Prize and Hardit Singh Sandhu, V-A, who spoke for the motion, won Third prize. 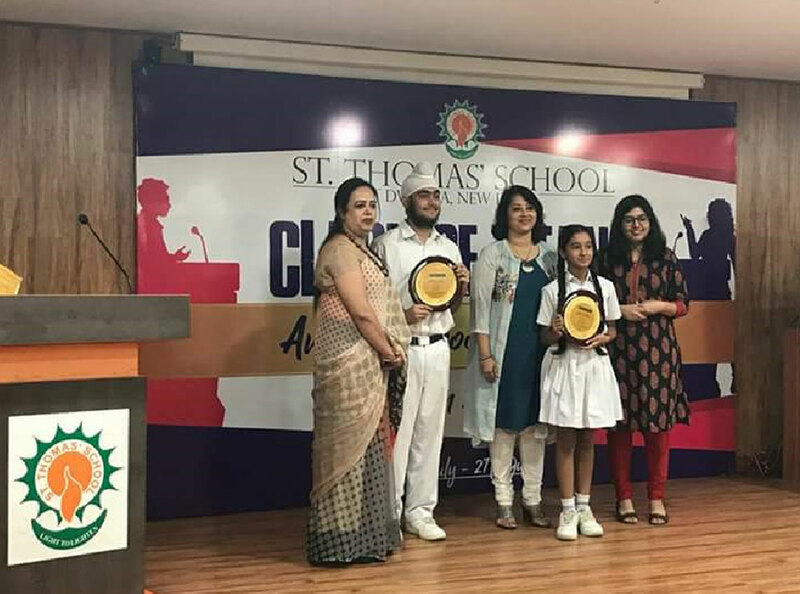 Dishti Kaushik of VII-D and Gursimar Singh of VIII-A participated in the Inter-school English Debate Competition 'Clash of Titans’, organised by St. Thomas’ School, Dwarka. Our students put forth an exemplary performance and bagged the winning trophy for the Best Team. The event provided an impetus to the students to enhance their debating skills, confidence and critical thinking. 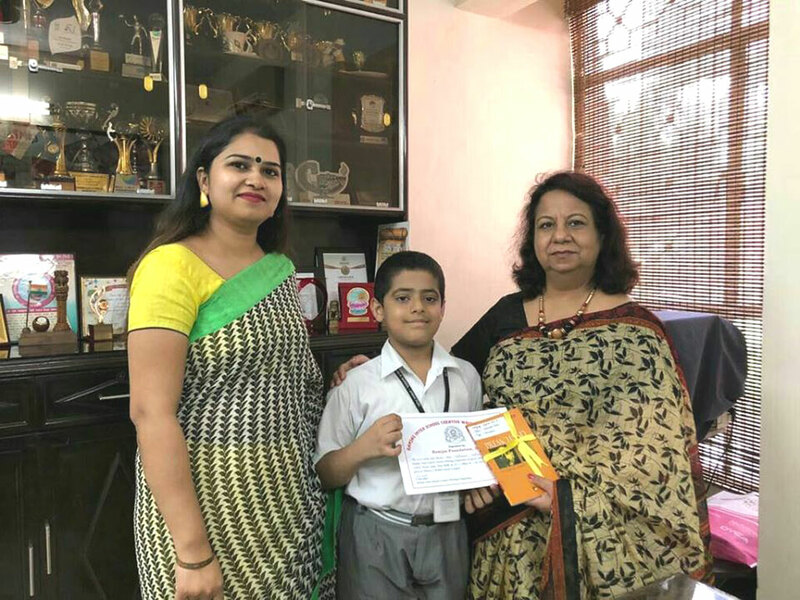 YATHARTH SAHNI won Consolation Prize in the Ramjas Inter-school Creative Writing Competition (English) in the Sub- Junior category held in the month of July 18. 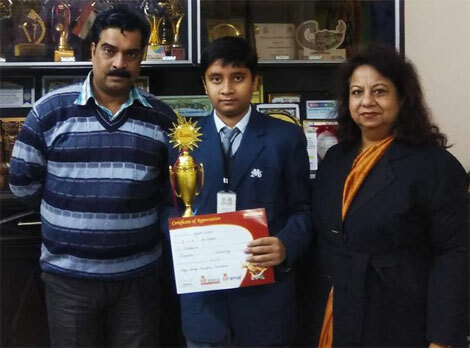 The final round of the speaker of the year 2017-18 in association with fever 104 FM was held on 18 February 2018 at National Science Centre, Pragati Maidan, New Delhi. 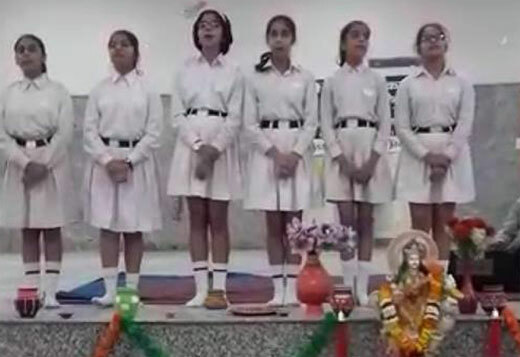 Five students from our school Eva Prabhakar VII-E, Akshita VII-G, Suhani Khanna VIII-D, Parnika Bhatia X-D & Devansh Sharma X-D were selected for the finale, amongst the participants drawn from across various states of India. The event constituted of two rounds; a 'Panel discussion’ and ‘JAM’ session. The participants shared their ideas and suggestions on the four verticals given by the jury; i.e. Indian Army, Traffic system, air pollution and education system. 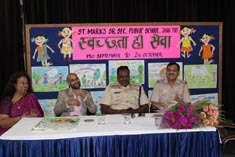 A round table conference was also held during the event for the Principals of participating schools. Our Principal Mrs. Alka Kher took an active part by being an active speaker during discussion. 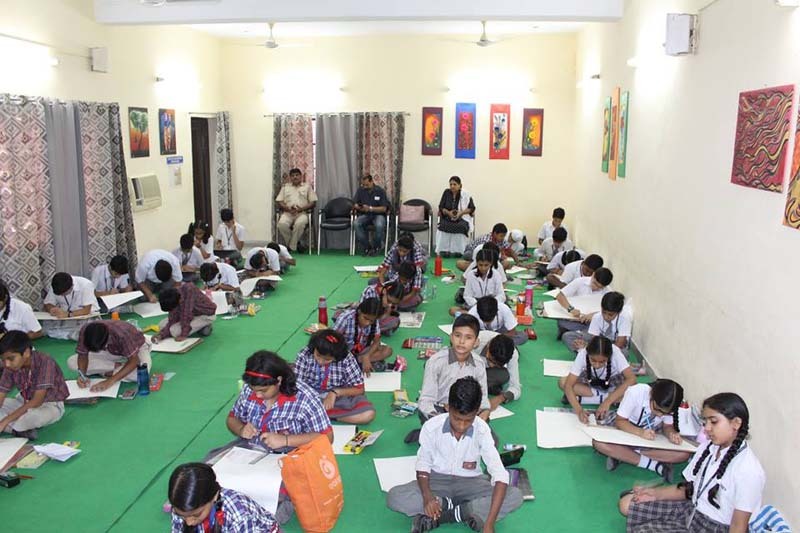 State Level Tata Energy Quiz at was held in Arya Samaj Mandir, Punjabi Bagh on 5 February 2018. 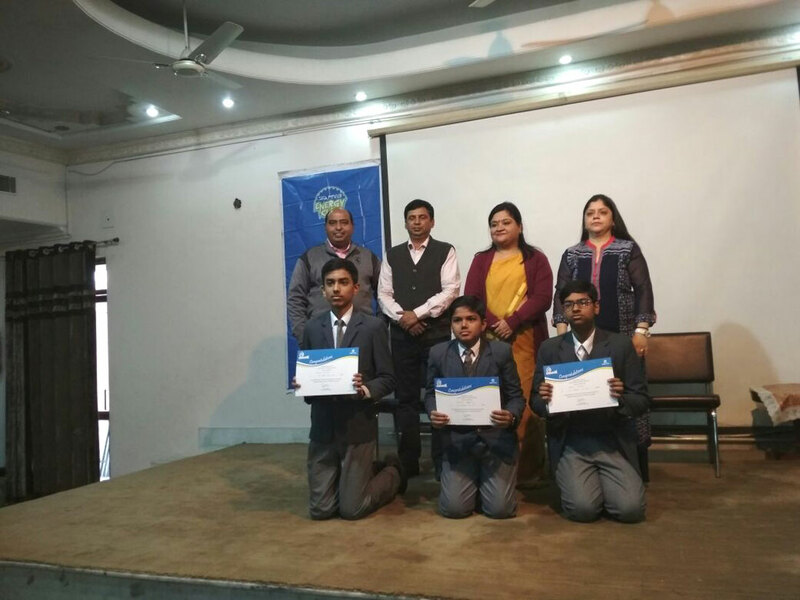 Students from around 20 schools participated and were benefited from the overall experience and came to know about the energy consumptions in India at different levels.. Our team comprising of Abhinav Chopra VII-G, Manas Ishwar VIII-F and Sarthak Aggarwal VIII-F secured fourth position. 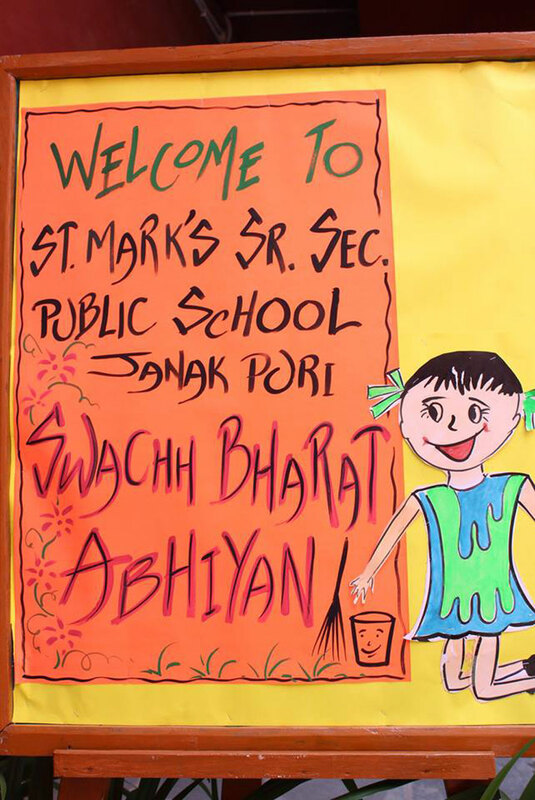 Students from our school participated in the “Budding artists’ - On The Spot Painting Competition - 2018 was held in St. Mark’s Sr. Sec. 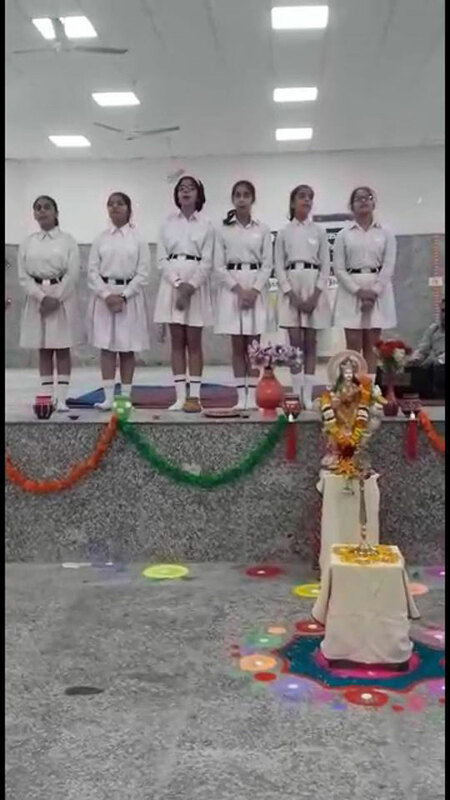 Public School, Meera Bagh on 3 February 2018.